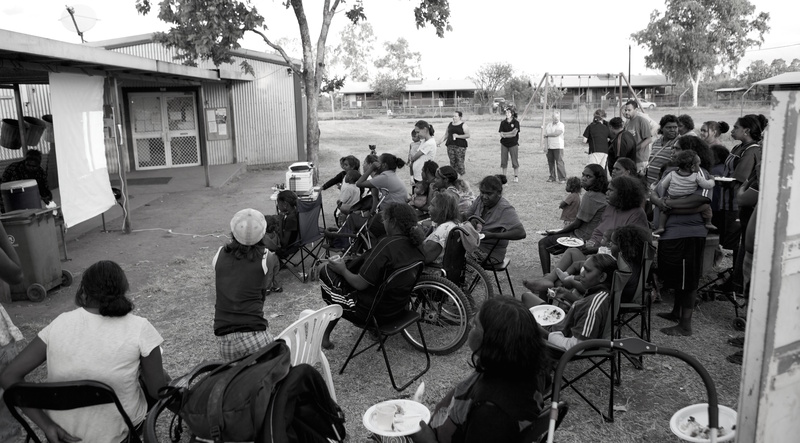 Storyscape used participatory video techniques and provided training in interviewing and video production to young people from Yarralin, a remote community in the Northern Territory. The aim was to enable these communities to undertake their own assessment of needs, and to create a video-based community plan. PhotoVoice was used to help the community prioritise needs, then a team of community members conducted interviews and assisted with the editing process. The result was a DVD with various chapters representing the different needs. It has been shown within the community with the aim of mobilising people to take part in various initiatives. It will also be used to help secure funding for community projects. If you are interested in seeing a copy of the DVD produced please contact us.